The Elcometer 214 is a simple, easy-to-use, non-contact thermometer which safely and accurately measures surface temperature of non-reflective materials using infrared technology. 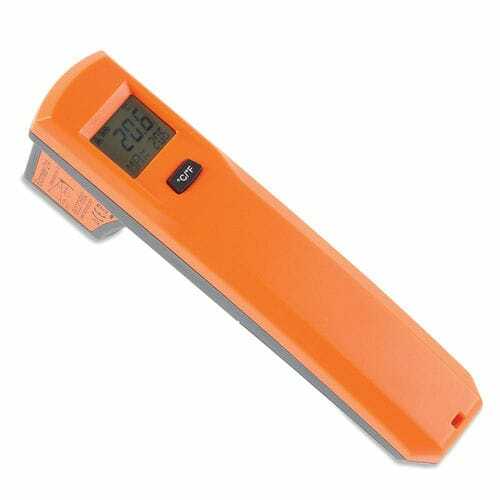 With a user switchable measuring range of -35°C to 365°C or -31°F to 689°F, a digital display of the temperature is produced in less than one second. 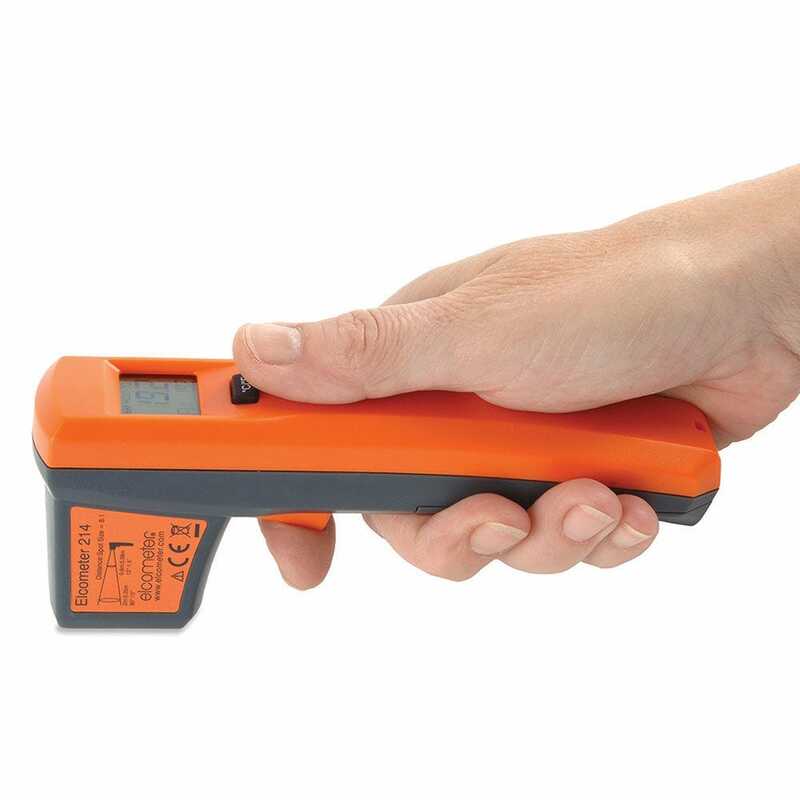 The Elcometer 214 IR Digital Laser Thermometer has a D/T ratio (Distance-to-Target) of 8:1 and measures the emitted energy from a target spot one-eighth the size of the working distance. As can be seen in the diagram, if the distance from the sensor optics to the target is 200mm (8") for example, the diameter of the measured area is 25mm (1").